Successfully Added Rofvape Coco Vape Pen Starter Kit - 0.3 Ohm Resistance, 2200mAh Battery, Indicator Light, 2.3ml Capacity (Silver) to your Shopping Cart. Say hello to the Rofvape Witcher Coco Pen starter kit. This slim-line vape is aesthetically pleasing thanks to its sleek stainless steel design. This attractive little vaporizer is the perfect size for your pocket or purse and is the preferred choice of many vapers who want to enjoy a satisfying vape without having to carry around a bulky device. This vape pen starter kit is easy to use, quick to refill and simple to recharge providing you with a good quality and flavorsome vaping experience without having to invest in an expensive vape mod kit. With the Coco vape pen starter kit, you will have everything you'll need to get started. Just buy the ejuice of your choice, add up to 2.3ml into the top filling tank and you are all set to go. There is even an additional coil included. The Coco vape pen is a constant voltage output vaporizer and uses an optimized PCB to keep it working at a steady 3.6V. There are different protection that includes a 10 second cut off, over temperature and overcharge protection as well as a low battery warning overheating and short circuit protection. Using just one button the vape pen is easy to activate whenever required and a surrounding light will show green, blue or red to indicate the remaining battery charge. With 5 holes located on the atomizer tank, you can set the airflow by simply twisting which lets you adjust the vapor to your taste. 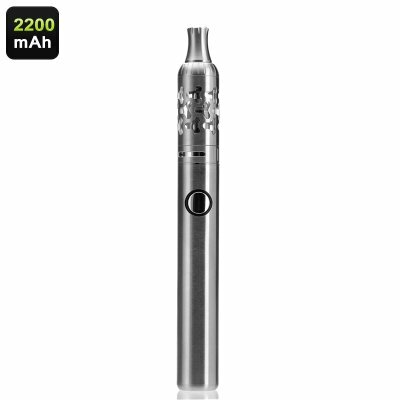 Capable of producing an impressive amount of vapor this little pen is an amazing product that offers an affordable and healthier alternative to cigarettes. For many this style vape pen remains the best size and best-priced pen offering a satisfying vape at unbeatable value for money. The Rofvape Witcher Coco vape pen comes with 12 months warranty, brought to you by the leader in electronic devices as well as wholesale vaporizers and vaping kits..